Pietro Anania (An-ah-nee-ah) immigrated to the United States from Calabria, Italy in the early 1900’s and settled in Portland, Maine. He and his wife Linda lived in an area of Portland known as “Little Italy” and they had seven children. A couple of the children decided to try out a grocery store on Newbury St. and called it the Newbury Street Market. Ed was one of the youngest in the family and at eighteen enlisted in the Navy. When he returned home from the Korean Conflict he decided to go into business with his siblings. Ed married Rosemary Connolly in 1958 and they had four children. He had a sharp mind and ventured out to expand their business. 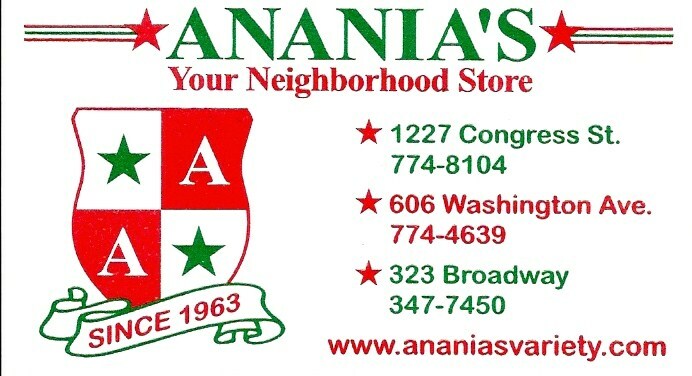 They bought a property on Congress St., a very busy area in the Libbytown section of Portland, and called this store ANANIA’S Variety. He said he wanted to call it by the family name because people never knew how to pronounce the name and now they would. At this location they sold subs, pizza, beer, wine and groceries. Over the years, six of the seven Anania siblings were partners or employees in the business and this turned out to be a profitable endeavor for the Anania Family. Rose worked in the business whenever needed and helped to establish a catering service that is still going strong today. 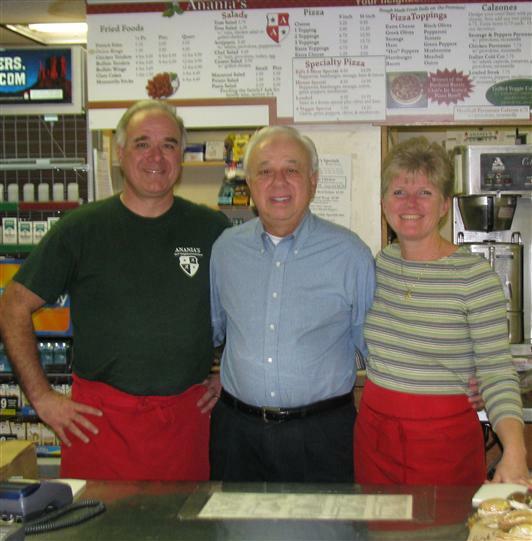 Ed and Rose’s four children all worked in the store over the years but their second child Ed Jr. decided to make it a career after he graduated from college. Ed Jr. married Barbara Keeley, a practical nurse, in 1985 and they had three children. When their children were small Barbara left nursing and started an in-store bakery called Sweets 'n Treats specializing in big individual cookies, whoopie pies, and cream filled cookies. As their children grew she became more involved in the business, helping to expand the catering line and menu. As the older generation moved on Ed Sr. and Jr. became partners. Ed, like his dad, had big ideas and he ventured out and they purchased two more properties, one on Washington Ave in Portland, and one on Broadway in South Portland. Ed Sr. retired in 2007 and now Ed Jr. and Barbara are partners, although Ed Sr. comes in every day and continues to help with the finances and give us sound business advice which we are very appreciative of. Over the years many siblings, nieces, nephews, cousins, and our own grown children, Nick, Beth and Maria have helped out in the business, as well as many great current and former employees, and we are forever grateful. We would like to offer a special thanks to Rosemary Anania. She passed in 1997 at an all too young age of 60. She brought so many recipes and ideas to the business and we miss her immensely. Stop by and visit any of our three locations in Portland and South Portland. Our business specializes in hot and cold take-out food, Sweets 'n Treats, groceries, a large beer and wine selection, snacks, tobacco, and lottery. We have a good size catering menu and offer drop off catering for graduations, office meetings, funerals, parties, flight catering, or whatever your needs, although we don’t supply wait staff.